Hocus Pocus Halloween Game Idea - Easy DIY Halloween Game! Halloween Game Idea: Hocus Pocus! 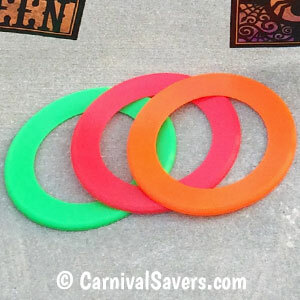 Loop Rings fly like Frisbees - Best for Older Kids. 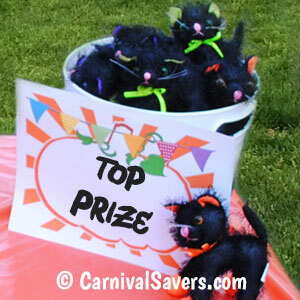 Kids Always Love Stuffed Animals as a Top Prize! This game is fast to setup before your event. 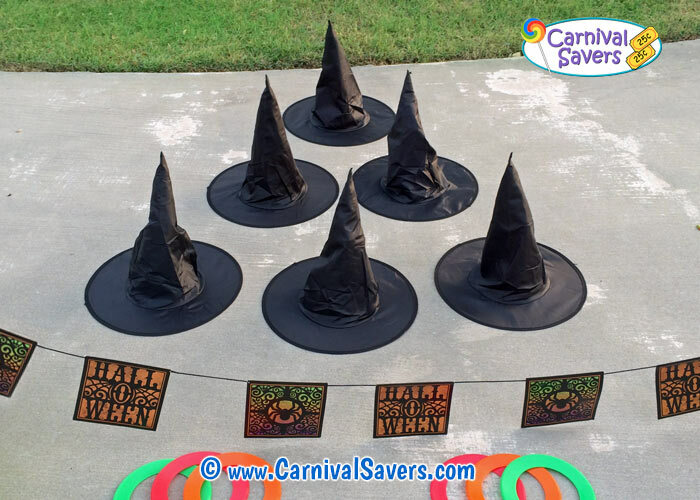 Simply place six cones on the ground as shown in our image and add a witches hat (stuffed with tissue or even a crumbled up brown paper sack) on top of each cone. Next, you will want to set up a stand behind line. We used a halloween pennant banner (sorry, this item has been discontinued), but we have a witches silhouette pennant banner (shown below) that you can string across the front of your game using weighted buckets with balloon sticks as the support. 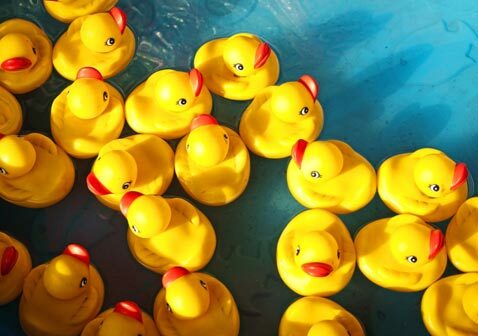 Just like all of our games - we recommend you set up the game and test it out before the kids start arriving to play! Players are given 3 Rings with a chance to hoop the top of as many witches hats as possible! Basically, you can set up the winning however you want, but you may wish to give higher points if a child hoops the witch's hat a the back of the game or as shown below. Note: The Loop Rings are a real challenge as they fly like frisbees and are difficult to get loop a witches hats! If this game is for younger children (preschool to under 8 years old) you may wish to use larger tossing rings that are easier to toss! Older children and teens really enjoy carnival games that require skill to win - so this is a great Halloween game for teens too! AWESOME SUPPLIES & PRIZES for the HOCUS POCUS HALLOWEEN GAME!